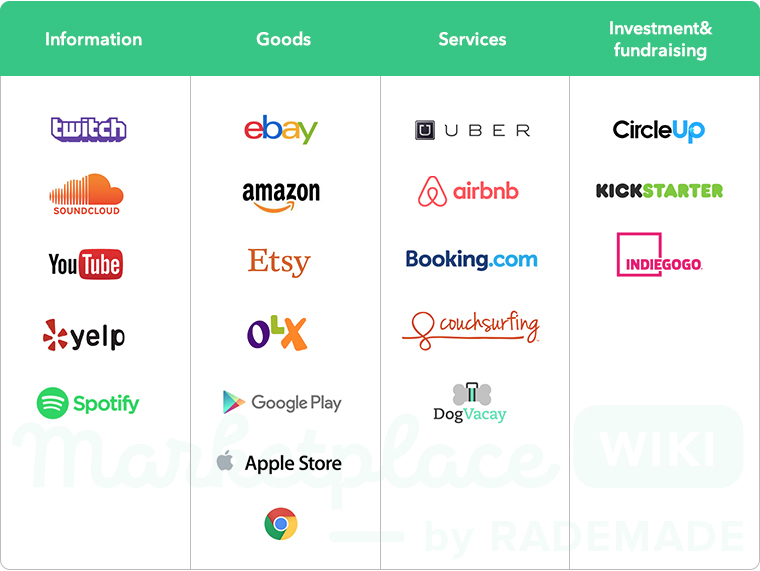 Why do you need to know the typology of marketplaces? To be able to find a gap in the market. A new project will have to either fit into the existing categories or go beyond them. This article presents a vision of a current Internet market &mdash; it is a simple guide with examples. Let's take a look at each classification. 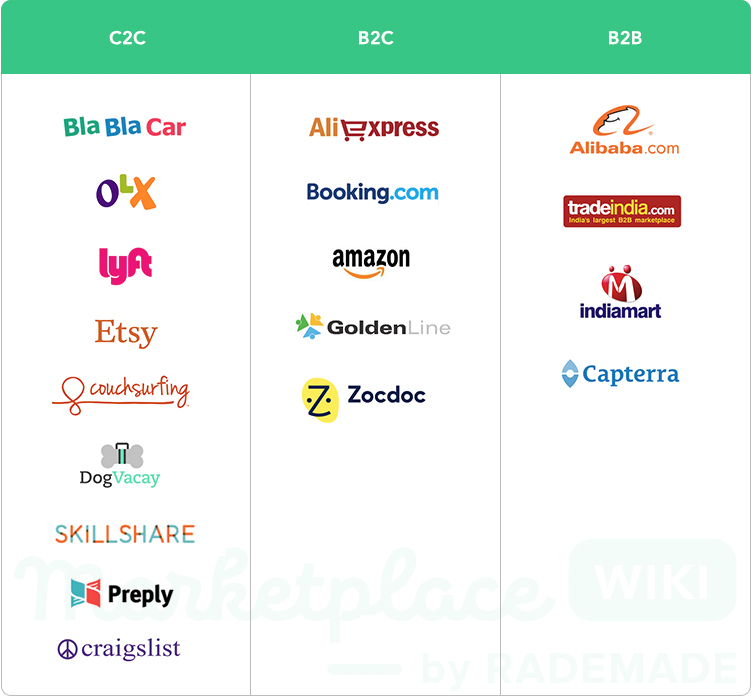 C2C (customer-to-customer) — Only private individuals offer and make orders, not entrepreneurs. B2C (business-to-customer) — The business sells to its clients. B2B (business-to-business) — A business buys from a business. Cases on each scheme are described here in detail. The examples of the companies are presented in the table below. A marketplace attracts users online, but the clients get a service offline. For example, one chose a product on the Internet, but received at the shop. Another found someone online, who was willing to walk his dog, and the person in question came to his house. Everything is happening online, only the product delivery is offline, however, sometimes no delivery is needed at all. For example, with online marketplaces that are selling tickets, a session can be finished online, and the electronic ticket is received afterwards in an email. Another example is GooglePlay and the AppStore: you buy an application online and use it on the Internet as well.